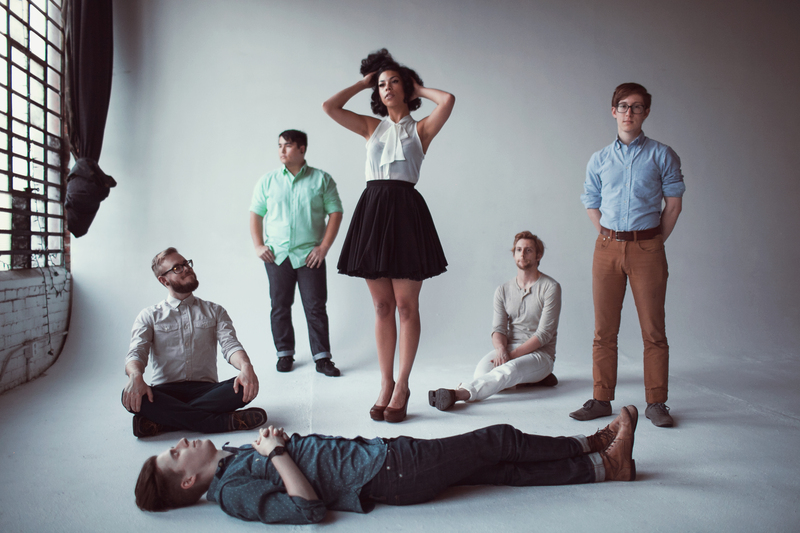 Phox | True Endeavors Presents: music, tours, tickets, mp3 downloads, concert pictures, videos, Madison WI. After falling in love with PHOX‘s dreamy, quirky, and adorable “Slow Motion” video, get ready to swoon all over again with the band’s just-released vid for “Kingfisher.” Enjoy! We’re looking forward to a pair of what are sure to be unforgettable SOLD OUT homecoming shows at the High Noon Saloon this August. See you there! Hot off the much-anticipated release of their debut album of “lethargic pop,” PHOX got some major love from NPR in an interview touching on the band’s genesis and the process of setting their sound free. Have a listen to bandmates Monica Martin and Matt Holmen’s short, sweet, and illuminating conversation with Melissa Block of All Things Considered here. We can’t wait to welcome the band home during their pair of SOLD OUT Madison performances at the High Noon Saloon this August! After spreading their wings last year and making waves in the international music community, the Wisconsin natives and indie pop darlings of PHOX are still very much loved and respected right here at home. 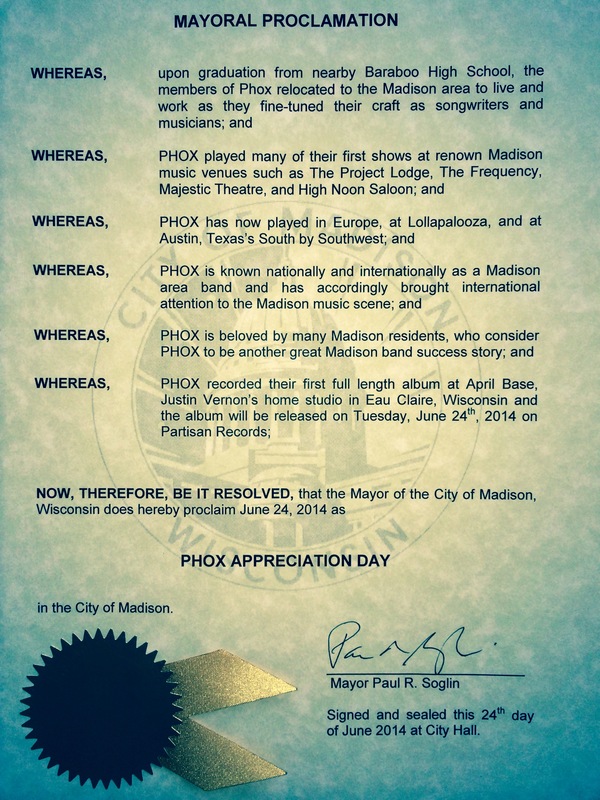 As if a pair of sold out homecoming shows at the High Noon Saloon later this summer wasn’t proof enough, Mayor Soglin has just proclaimed June 24 PHOX Appreciation Day! We’d like to extend a huge CONGRATULATIONS to these rising local stars! PHOX In Madison: Both Shows Now SOLD OUT! We are thrilled to announce that both upcoming PHOX performances at the High Noon Saloon on August 7 and 8 are now SOLD OUT! Thank you to everyone who bought tickets early in support of these great local talents. We can’t wait to see you all at the shows! PHOX’s August 8 homecoming show at the High Noon Saloon is well on its way to a sell out, so if you haven’t already picked up your tickets, now is the time! Tickets on sale through our Music Calendar Friday, April 11 at noon.